I have a few cookbooks, and have bought some and been gifted many others over the years. I just looked over at the bookshelf and I have three shelves full of cookbooks. From lovely hardbound ones to the little paperback booklets you can buy at the checkout in the grocery store. And I just counted them, there are over 125 cookbooks on there. I don't think that's an excessive amount at all. I know a lady who has hundreds of cookbooks. And she's read every single one of them. I guess I'm not too different from most cooks, I like to read recipes. And have been known to curl up on the couch with a pot of tea, some cookies and a cookbook and while away the afternoon. I get to explore new cuisines, gaze longingly at pictures, sigh over elaborate cake constructions, and if I'm lucky the cookbook author will put in little notes from time to time about personal experiences with a recipe or maybe just a few words here and there. I have one book, the Boston Cooking School cookbook published in 1938, which has a hand written recipe on the frontispiece for the family Fruitcake recipe. I cherish that book, and sometimes I'll sit and wonder about how it got to the place where I bought it, which was at an auction. And I'm so glad I bid on the book, and won it. Actually, I don't think there was anyone else bidding on it, and in fact I might have been bidding against myself. I get excited at auctions. Doesn't matter, it's mine now. I've got cookbooks that were purchased at thrift stores, and others that I found in secondhand shops. 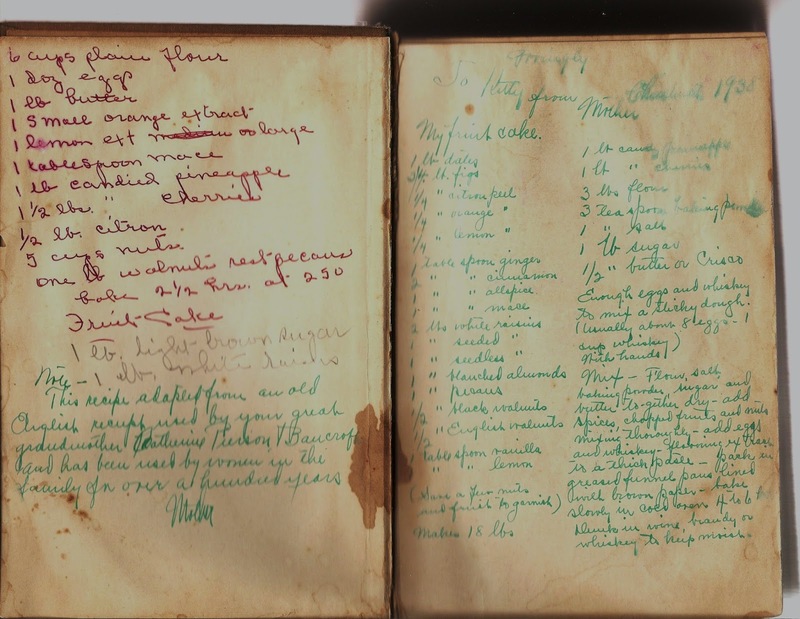 I love finding those self-published recipe books that are collections of recipes from the local ladies groups. I have several of them. Like the ones created as fundraisers, such as "Dive into our Favourite Recipes by Drinkwater Elementary School" published in 2003, but... 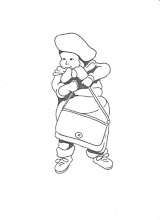 I also have one entitled "Bicentennial Cook Book by the St. Mary's Alter Society from Minong, WIS. 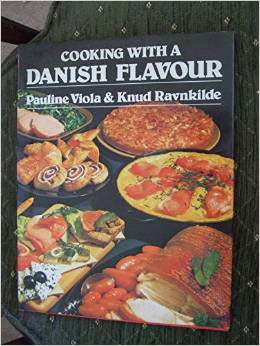 I also have a Danish Heritage Cookbook, put out by the Ladies Auxilary to Vancouver and Surrey Danish Churches. And I've used it extensively. And I cannot forget the one that my sister contributed one of her recipes to. This one was called Culinary Delights, and was compiled by the residents, families, friends and staff of the Extended Care unit of the local hospital. I have a self imposed moratorium on buying any more cookbooks that were published pre-1965. I know it's an arbitrary date, but a lot of the more modern cookbooks are full of convenience foods. And I rarely use them in cooking. However, I did kinda break my own rules this past year. I bought three cookbooks. I saw this one at my one of my siblings place and when I got home I bought it. And I've been reading it off and on ever since. I do host a Tapas Night once a month and love to mine it for ideas. 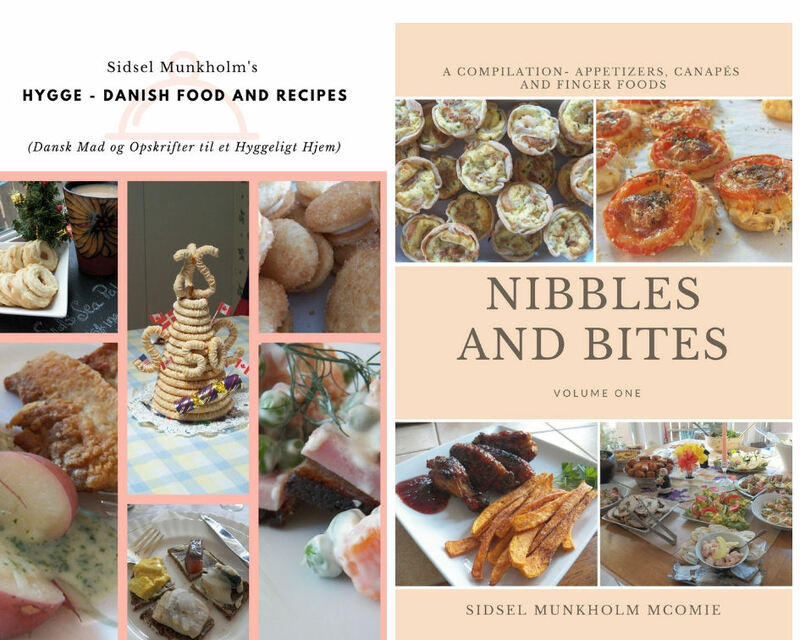 Then, while visiting another sibling, I took a picture of a recipe in one of his books, and made the Danish Potato Salad, but one day while on Amazon, I decided to go ahead and look for the book that I'd gotten recipe out of, and guess what? I found it. And it only took a couple of days to reach me. And I've been bookmarking recipes to try ever since. Well, I did make some Karrysild from it and they were soooo good. And the third book, was a very educational book as well. 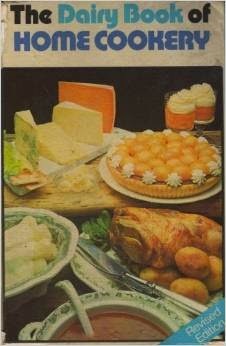 I learned a lot about English Cheese and there are lots of recipes in there that I've now bookmarked as well. And now since it's Sunday again, I think I'll go brew a pot of tea, grab one of my cookbooks and a slice of my homemade No-Knead bread and enjoy the afternoon. Sounds like a perfect Sunday afternoon to me. I have tons of cookbooks as well and one of my goals this new year is to make at least one recipe from each of the books. I love being able to just sit and read cookbooks on lazy Sundays. I had a goal once of making a recipe from each one of my cookbooks, but never got around to it. You just reminded me of that goal. 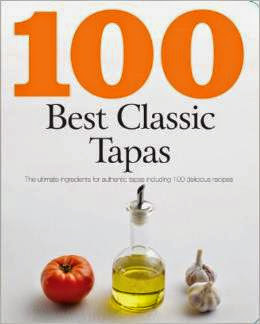 I think I'll at least attempt to make one recipe from my favourite cookbooks, this year.